For the very best fine dining experience, there is no need to look further than God’s Own County –Yorkshire. There are five spectacular Michelin Star restaurants in Yorkshire, all waiting to tickle your taste buds with the finest food from the region. This, of course, includes The Black Swan at Oldstead, named by TripAdvisor as the ‘Best Restaurant in the World’! With Yorkshire boasting miles of coastline for sustainable fishing, acres of farmland for the very best meats and dairy produce, delicious orchards, herbs, breweries and more, it comes as no surprise that people are flocking to the area to get a table at these sought-after restaurants. The Black Swan at Oldstead has been perfectly summed up by chef Tommy Banks when he describes ‘it’s not just a job for us, it’s a lifestyle’. Such a lifestyle comes about from generations of the Banks family living and farming around Oldstead, with their knowledge of the land and produce being translated onto each plate of food. The Black Swan is a beautiful marriage between tradition, homeliness and modern eccentricity, with Oldstead produce meeting lashings of creativity. From the outside, The Black Swan looks like a cosy, quintessentially English Pub. Once inside, however, it offers a relaxed, but not casual, rustic fine dining experience. 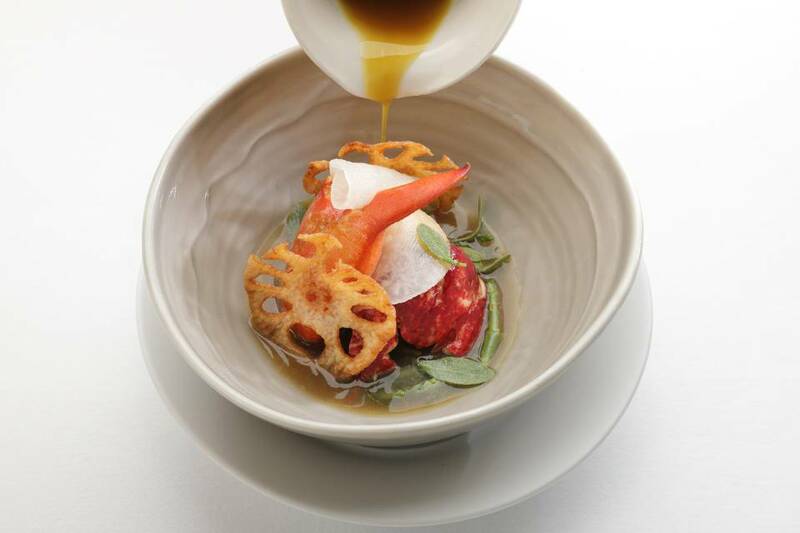 Chef Tommy Banks was Britain’s youngest Michelin Starred Chef in 2013, aged only 24. Since then, he has won Great British Menu in both 2016 and 2017, with The Black Swan at Oldstead being named ‘Best Fine Dining Restaurant in the World’ in 2017, and the best restaurant in the UK in 2018 by The Food and Travel Magazine. 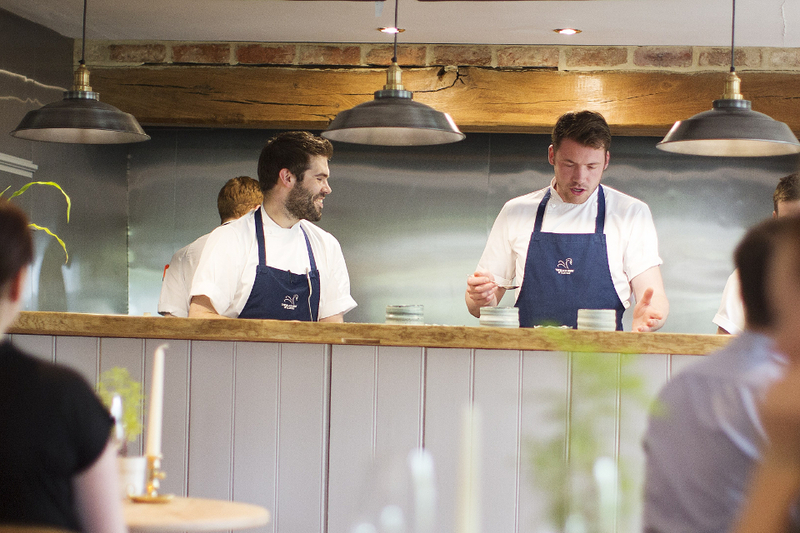 He works alongside Development Chef Nick Brown, who experiments with alternate produce and techniques to build new dishes, and Head Chef Will Lockwood to offer the best Oldstead produce and menus all year round. The menu is a fresh take on ingredients used in Oldstead for generations. As such, some ingredients are outwardly simple but given a new lease of life with flavours developed by fermenting, pickling and ageing. Of course, to wash it down there is a carefully selected drinks menu featuring high-end wines, spirits and cocktails; including a selection of locally distilled Garden Spirits. If you’re searching for a rooted Michelin Star Restaurant in Yorkshire with but with modern food at its forefront, The Black Swan at Oldstead is not one to miss. The Yorke Arms has been a fabulous restaurant since 1997 when it was purchased by chef Frances Atkins and her husband Bill. Frances won a Michelin Star in 2003, becoming the first British woman to do so, a great achievement after her hard work and contribution to the fine-dining scene. The restaurant boasts a traditional, classic style to bring a touch of elegance to the dining experience. 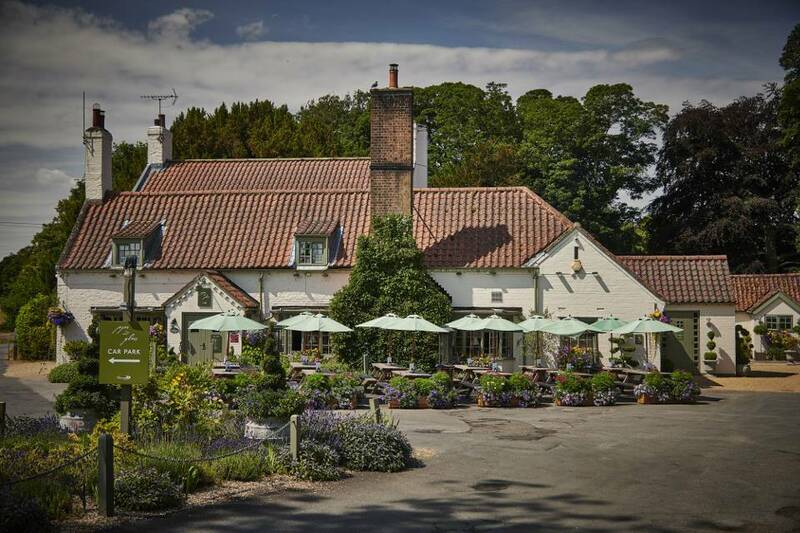 As Yorkshire’s landscape lends itself to producing the very best fresh ingredients, it is no surprise that The Yorke Arms makes good use of these ingredients, and even grow many of their own vegetables and herbs on the premises. As such, the menu is likely to look different with each visit, relying heavily on the produce that’s at its best each season. Frances’ menu is also constantly evolving in the ‘tireless pursuit for perfection’, but with a tasting menu of either five or eight dishes, you’re likely to find perfection in your visit anyway. Eat in The Little Dining Room, originally a monastic cheesery in the 11th century but now an informal yet elegant place to experience spectacular natural flavours, or eat in The Yorke Arms Restaurant for a special experience you won’t forget. The Star Inn at Harome is the place to head for a quirky but rustic Michelin Star restaurant in Yorkshire. Chef Andrew Pern brought his passion for French cooking back home to Yorkshire to be combined in a delicious stirring pot of the finest Yorkshire produce and the French eye for perfection. Andrew and Head Chef Steve Smith work tirelessly to ensure their food is the highest standard, and it’s paid off with The Star Inn being decorated with seven awards of excellence. The restaurant shows off legendary game and finest seafood from North Yorkshire in its range of menus, and the daily specials ensure that the chefs take advantage of the best ingredients of each season. A large selection of fine wine and beers are available to compliment any meal or to be enjoyed in the cocktail bar. 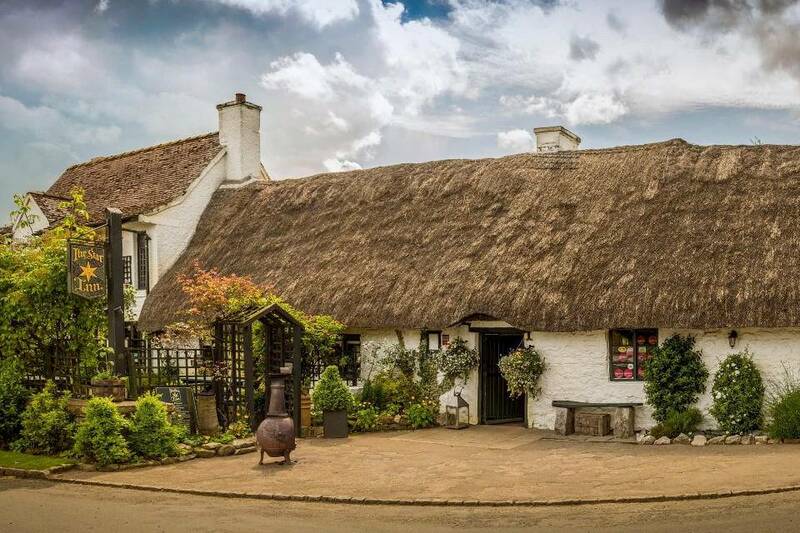 The Star Inn at Harome was born in 1996, but its beautiful building dates back to the 14th century. There are multiple dining rooms and spaces to enjoy the food and drink available, so whatever your preference there’s space to enjoy what The Star Inn at Harome has to offer. The atmosphere is cosy but luxurious, a true reflection of a rich Yorkshire heritage. The Pipe and Glass Michelin Star restaurant with rooms, lies nestled in the East Yorkshire town of Beverley, which boasts a historic and picturesque atmosphere. The restaurant, which has held its Michelin Star since 2010, reflects the town with its 15th century building and Yorkshire charm. Chef James Mackenzie and his wife Kate have embraced the traditional English pub spirit but combined it with a generous helping of modernity and luxury. This makes The Pipe and Glass a destination for both quality pub-goers and die-hard foodies alike. James grew up on the North Yorkshire Coast and began his career at the age of 13, making him the perfect candidate to bring the very best out of Yorkshire foraged veg and herbs, local meats and seafood. His menu takes from the much beloved English classics, such as fish pie and sausage rolls, but reforms them into modern and beautifully prepared dishes to get your mouth watering. With a considered wine list, tasty children’s menu and extensive vegetarian options, The Pipe and Glass is the perfect place to cosy up and indulge in comforting surroundings, delicious food and friendly staff. For those wanting a more private dining experience, The Hotham Room and Chef’s Library on the first floor offer bespoke menus for between six and ten people, with an intimate atmosphere and stunning views across the manicured gardens and into Dalton Park. If you are super into the latest trends on the food scene, The Man Behind the Curtain is the Michelin Star Restaurant in Yorkshire for you. Michael O’Hare, the Founder and Chef-Patron, has appeared on multiple TV shows, including BBC2’s The Great British Menu, and has gained a reputation for weird and wonderful dishes and food pairings. 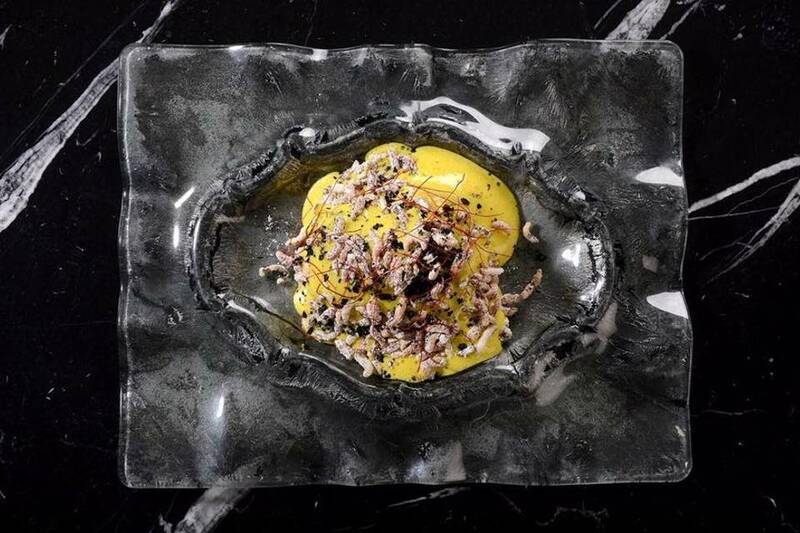 Think potato foam and wild puffed rice on top of a chocolate dessert, or cooked prawn brains with raw prawn tails. The dishes reflect the wacky chef, who studied ballet up until he was eighteen, then briefly studied aerospace engineering before turning his sights to cooking. It worked out well for him, with The Man Behind the Curtain gaining a Michelin Star in 2015, just a year after the restaurant opened. The restaurant space offers a minimalist style that has been compared to an art gallery, for a dining experience to inspire your eyes and your pallet. The food has been called ‘engagingly bonkers’ and is most certainly different from your average restaurant. One for those foodies looking for an edgy, modern place to get eat their next best meal. If you’re planning on checking this one out, be sure to make a reservation as tables at this place are highly coveted.